The Justice Accelerator is designed to help innovators working on scalable, sustainable solutions to access to justice problems grow. 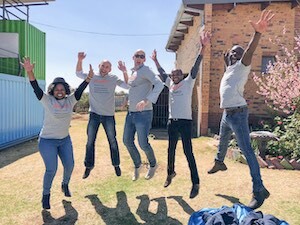 The startups were selected through the Innovating Justice Challenge (www.innovatingjustice.com), in a process that including online engagement, training and regional pitching finals in seven locations around the world. All of the innovators selected will receive an initial grant of EUR5,000, with additional funding and business service support available throughout the year. The highlight of the program is the intensive Justice Entrepreneur School and Innovating Justice Forum, which will take place in The Hague early 2019. HiiL supports entrepreneurs and innovators who are working on both for profit and not-for-profit solutions through the Justice Accelerator. This year’s innovations cover a wide variety of services for assisting with criminal procedures, legal services, property rights and business contracting issues. The solutions include mobile access to legal advice via shortcodes, a chatbot, an automated contracting platform and a board game. HiiL (The Hague Institute for Innovation of Law) has been based in The Hague since 2005, and want to provide for people’s justice needs worldwide using innovation, creativity and knowledge. Its goal is that by 2030, 150 million people will be able to prevent or resolve their most pressing justice problems.